Sample over 100 wines perfect for Holiday Meals, Parties & Gift Giving at The 2nd Annual VNO Wine Warehouse Fall Wine Preview. This years event benefits The Bay County Humane Society. 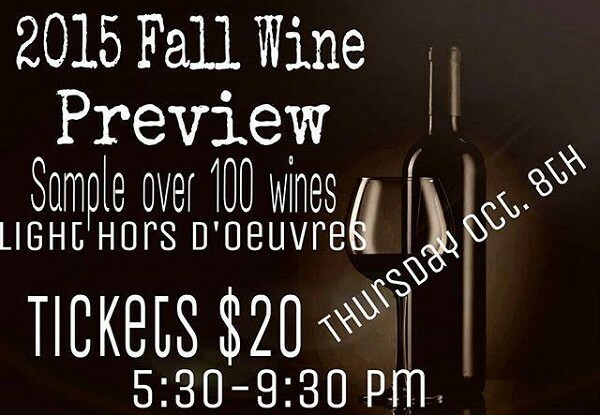 The event is set to take place Thursday, October 8th 2015 from 5:30pm - 9:30 pm at Vno Wine Warehouse on Midland Street. For more information contact Vno Wine Warehouse at (989)460-0116.